Climate change, though we know it’s there, is a hard thing to see: it’s slow, it’s invisible, and if you don’t know what you’re looking for, then you might not even miss it once its gone. This is precisely the kind of data that the Audubon Society has been collecting extensively about North American bird flight range changes, and in this project we have helped them to visualize it. 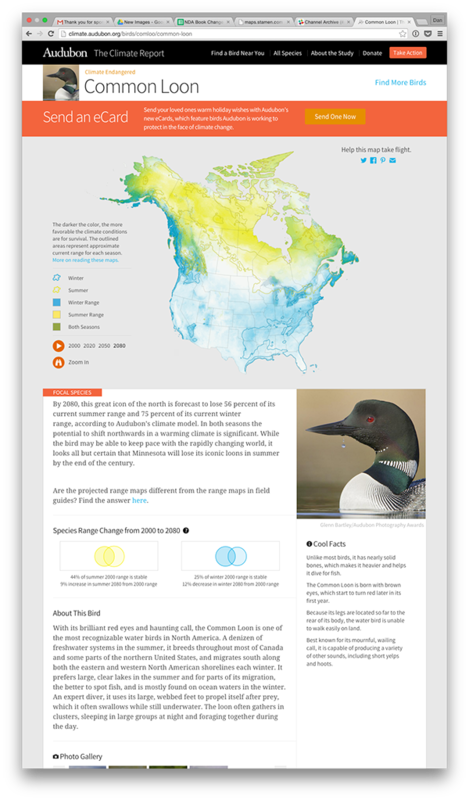 Maps of how American bird ranges will change over time due to climate change.